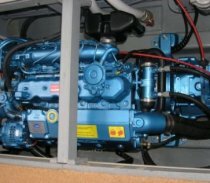 At Crosshall our experienced engineer can help you maintain all areas of your boat, from annual engine servicing, electrics and plumbing, to boat winterisation and repairs. On-site boat lifting equipment is available in the event that your boat needs to be lifted out at anytime. Installation of electrical equipment, fridges, cookers, heating, charging systems and battery management. 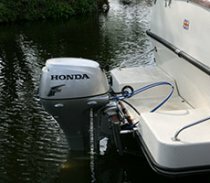 Outboard motor repairs and servicing. Outdrive, stern drive repairs and servicing. Installation of sea toilets, holding tanks. Macerator and diverters, water pumps, calorifiers and immersion heaters. We carry out work on behalf of major insurance companies including Haven Knox – Johnston, GJW Direct and Newton & Crum.